We are a large loss disaster recovery team. When a natural disaster such as storm, fire or flood we are on site to help people to get back into their homes as soon as possible. We never stop learning. We continue to learn and educate our team about the latest technology and techniques. Our goal is to stay ahead and continue to be leaders in the restoration industry. This gorgeous tile bathroom was hiding extensive water damage. 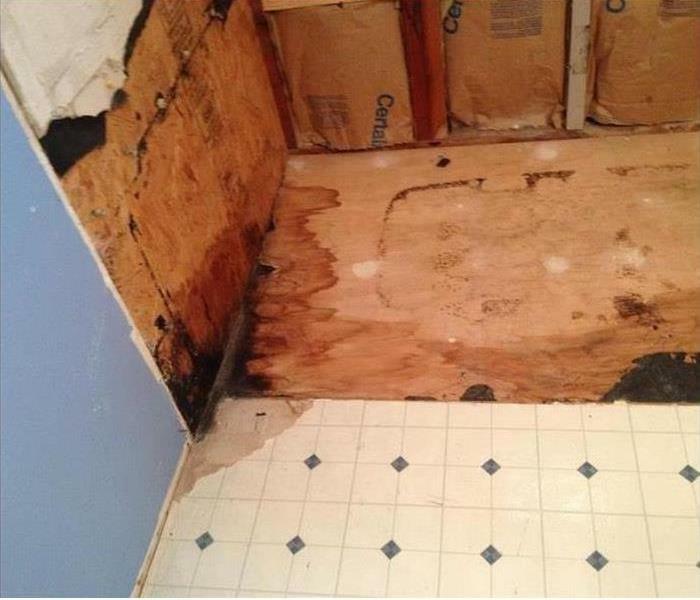 Luckily, we restored the bathroom to look how it did before it was damaged. Our customers were thrilled. SERVPRO of Carmichael has seen it all. After strong winds this tree fell through the roof. Fortunately no one was hurt. We are prepared for anything with the right skills and tools. We develop team bonding skills with our crew. We believe working together is the way to continue to lead in the restoration industry. Individual commitment to a group effort leads to success. SERVPRO of Carmichael cares for the community we are a part of. Our team at different levels continues to support the community in different ways. Here at SERVPRO of Carmichael we pride ourselves with the confidence in our team. We know that together we can do so much more and a service to our customers. Alone we can do something, but together we can do so much more. This bathtub is a prime example of the dangers of moisture. This bath tub had mold growing underneath it. Although bathtubs are made to be filled with water, if they are not properly placed and use it can have leaks that lead to moisture. Natural disasters are unpreventable and unpredictable. They have devastating effects. This home was hit hard but luckily SERVPRO of Carmichael offers construction. 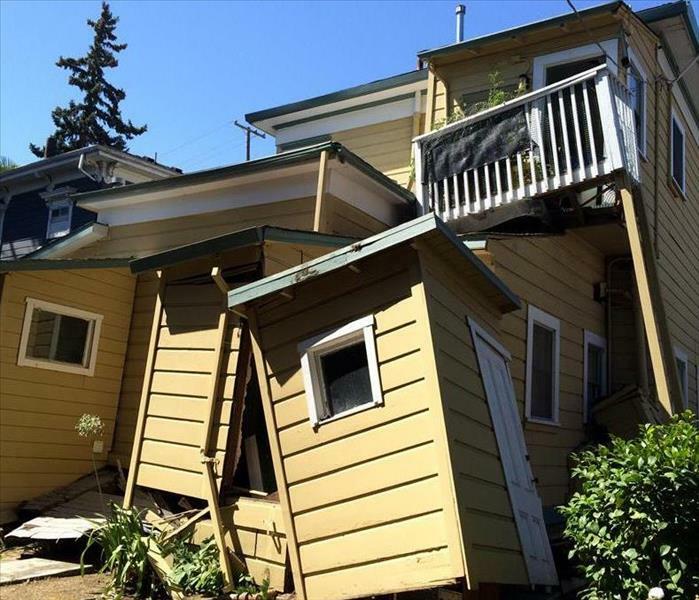 We can help rebuild your home from the ground up. This home was kept clean and one could not tell that they was a whole area affected by mold. This kitchen cabinet was covered with mold and it was crucial to remediate it since food is stored here. Commercial buildings are high traffic areas. They suffer from wear and tear. This floor was cleaned and restored to looking brand new. 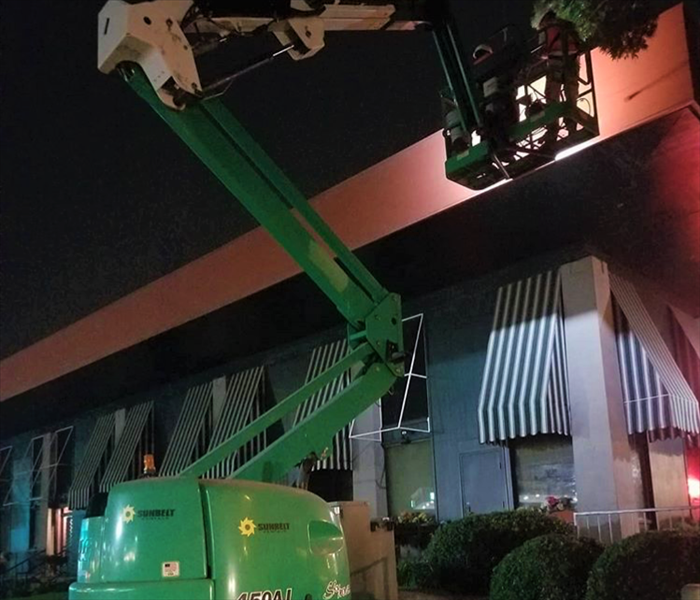 Call SERVPRO of Carmichael for all and any of your commercial building restoration needs. Damage in your commercial building can be affecting your employee. 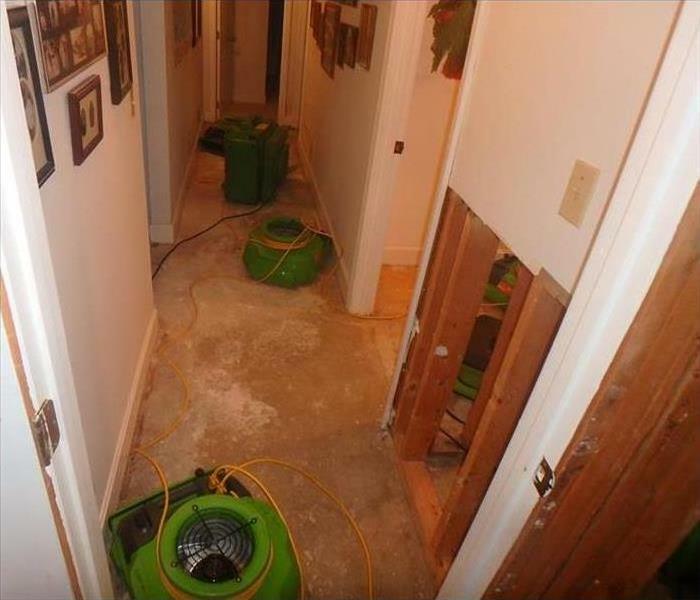 This water damage may look harmless but it can in fact be hazardous to the health of your workers. Avoid any disasters and take of water damage before it gets worse. Storms can not only cause damage to the interior of your home but also the outside of your home. This storm caused slight flooding on porch. Although it may seem minor, the amount of damage can increase if left there. Be sure to assess all damages to your home, both inside and outside, when looking at your home. This is the aftermath of a fire inside a garage. Although not all property was burned, it still was damaged by soot. Soot is the black powdery substance that can be seen covering the walls and some of the property. Fires can start for many reasons but regardless of the source, they are incredibly destructive. They can consume a home. SERVPRO of Carmichael can help restore your home "Like it never even happened." This business needed to reopen quickly after flooding. We are committed to fast and convenient service. Our goal is to restore your property to its condition before the damage. 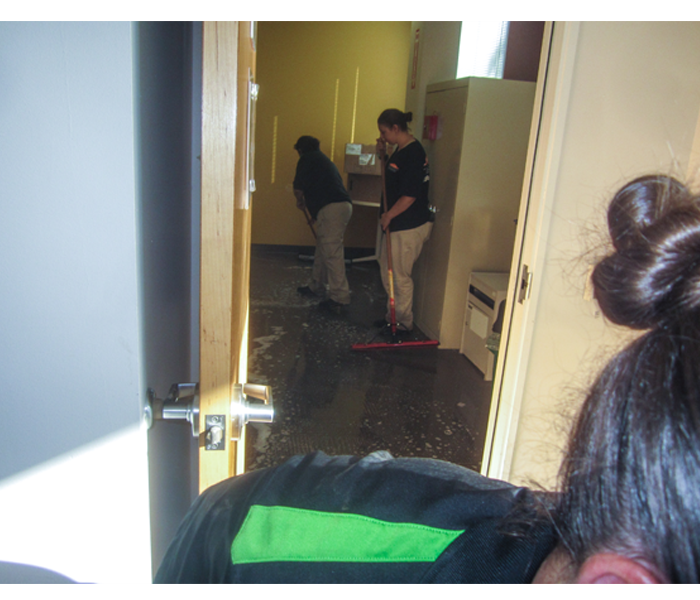 If your business suffers water damage call the experts of SERVPRO of Carmichael. 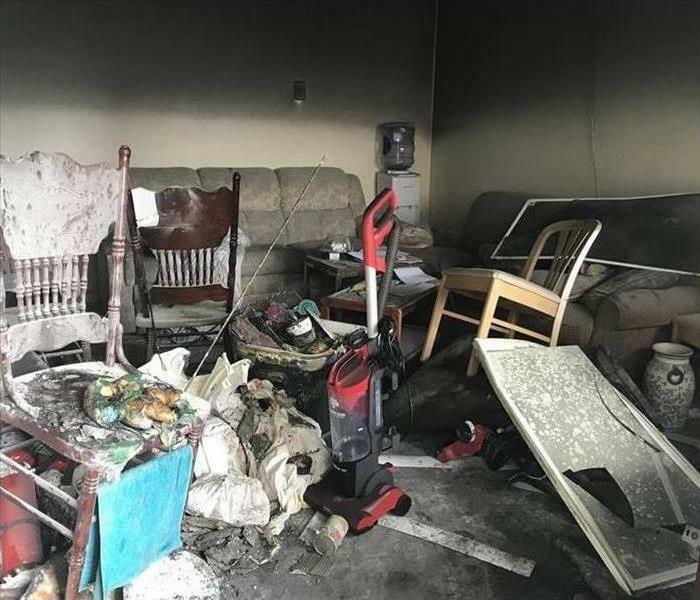 There is no fire damage that SERVPRO of Carmichael can not handle. Our fleets can handle any size fire clean up and restoration. We responded to a huge fire at a car dealership. 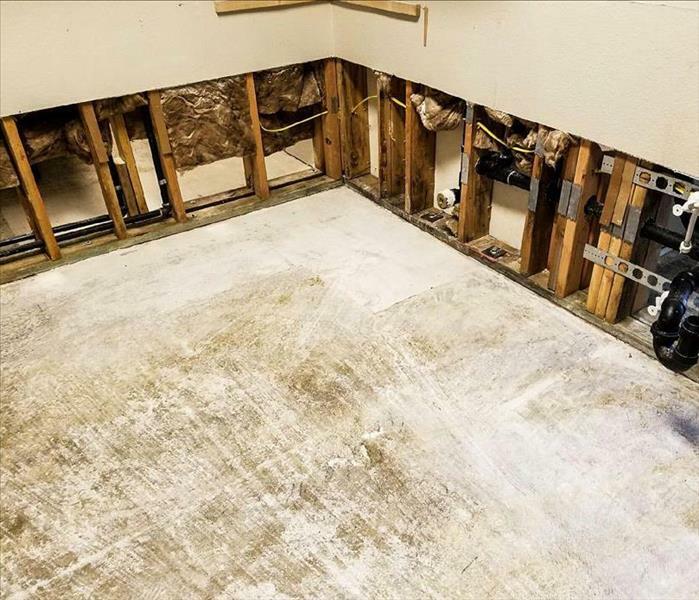 Water damage can do deeper than the surface. It is important to make sure that the level of water damage is assessed. Just drying the top service leaves your property susceptible to mold. The carpets had to removed to reach the moisture below. 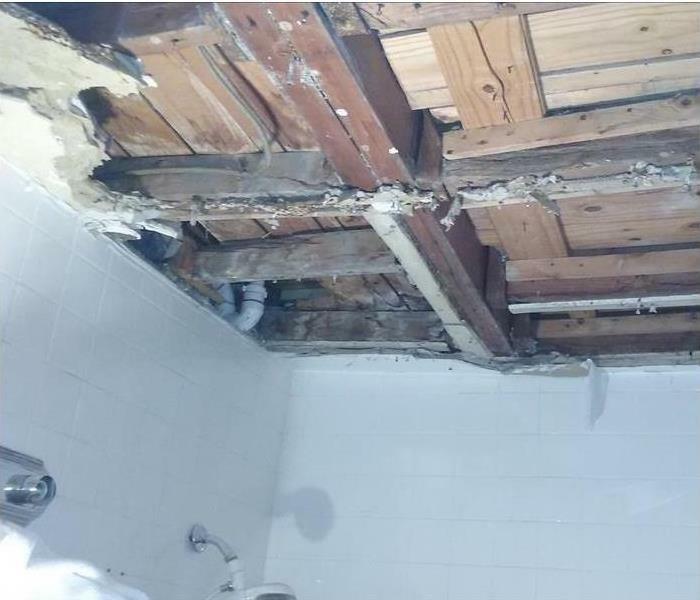 Broken drain line leaked down and damaged the ceiling of the bathroom in Barrett Hills. 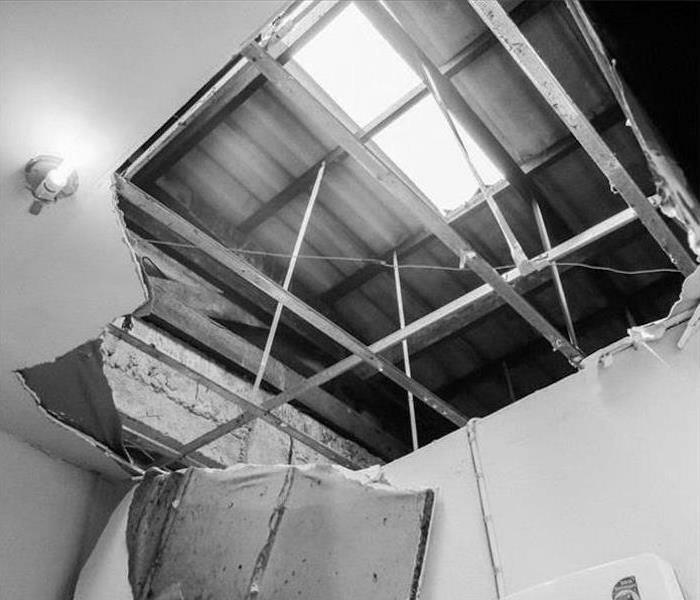 When needed SERVPRO technicians demolish ceiling panels that are in danger of falling; cleanup of the water damage proceeds any final restoration and rebuild. 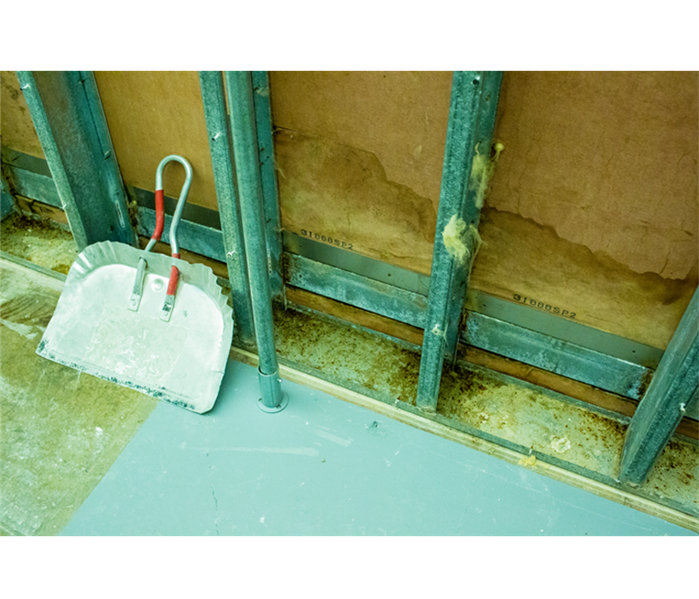 One of the first steps in preventing mold growth is ensuring your affected space is dry. 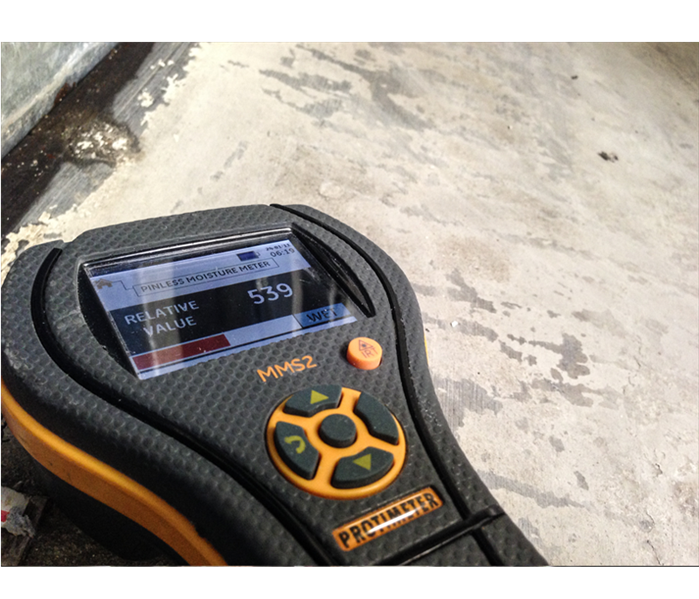 With this moisture meter, and others like it, we can detect moisture without obvious visible signs. Once detected, moisture levels are monitored throughout the restoration. Commercial properties present challenges not normally found in Residential mold mitigation. Utilizing specialized tools SERVPRO ® of Carmichael can handle your commercial mold mitigation today! 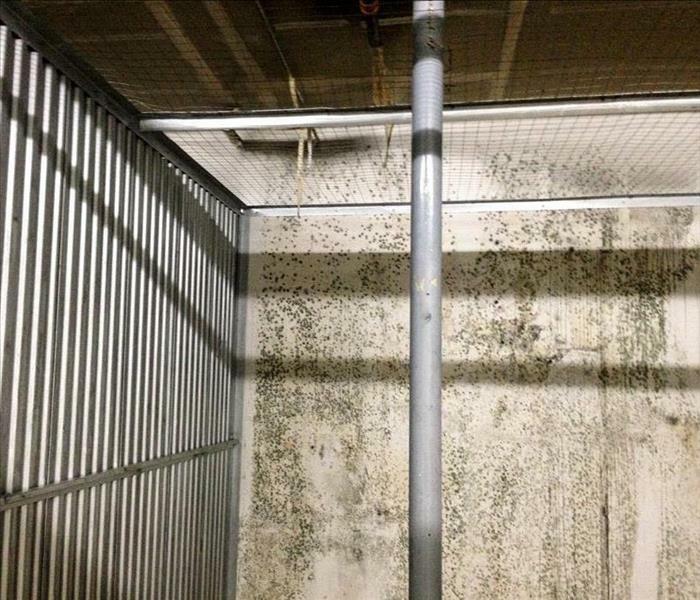 Our team specializes in mitigating mold damage in offices, and large commercial spaces. We understand the value of your business, and take all steps necessary to protect important equipment. 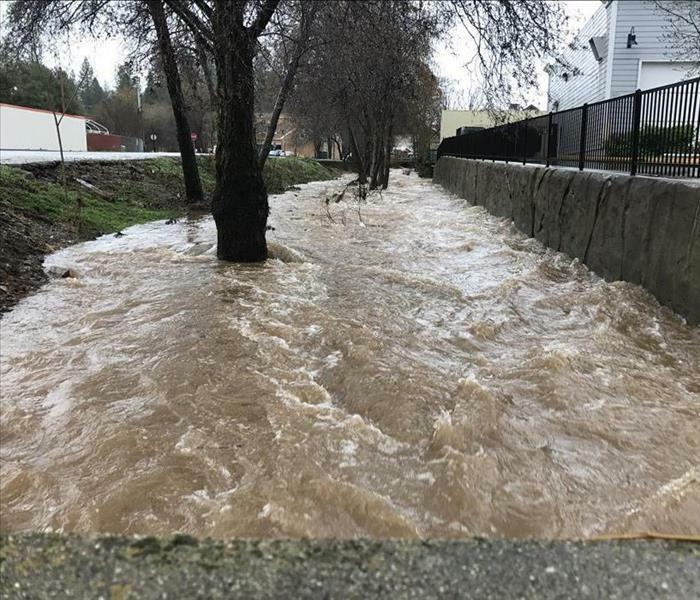 The lovely town of Placerville has been hit hard by several storms affecting the surrounding Sacramento, Roseville, and Citrus Heights communities. As we can see in the photo, the streams running throughout the town are reaching maximum capacity. With several commercial structures located near the stream, we were called to assess the damage to a property affected by the overflow. January, February and March have been some of the wettest months on record for the Sacramento, Citrus Heights, and Roseville areas. 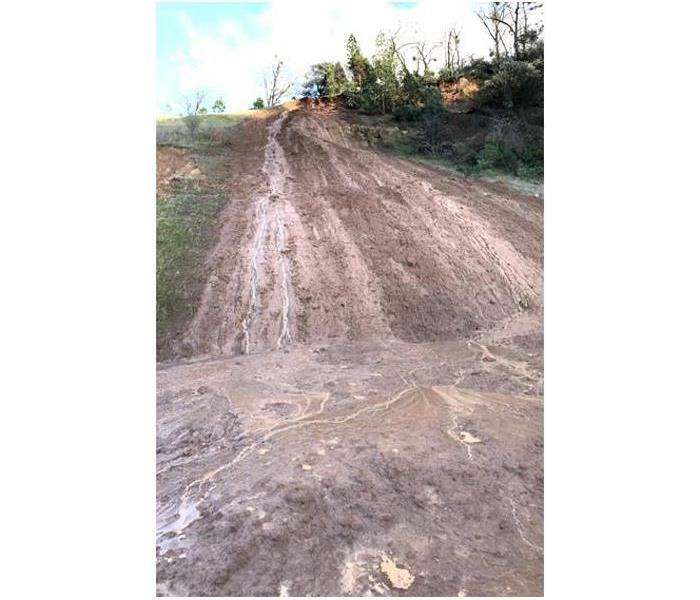 As we can see in the photo, mud has pooled at the base of the hill, threatening property near a residential development. 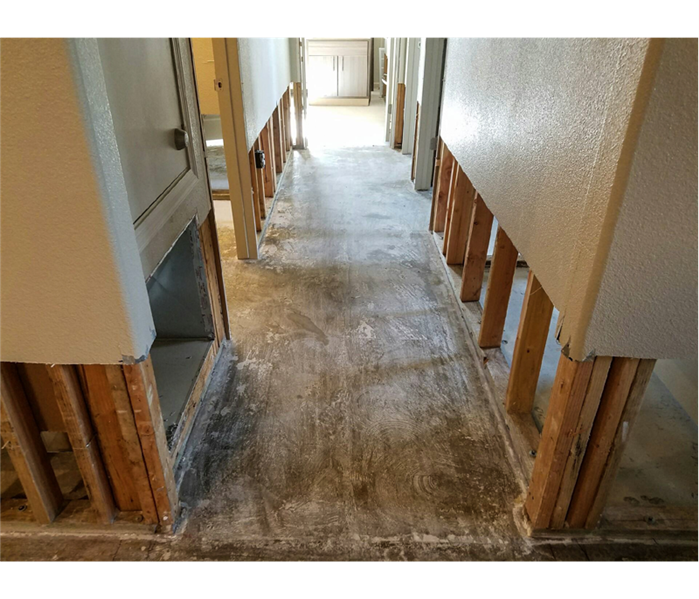 The groundwater rose enough to flow into this Citrus Heights home and leave an inch of standing water. Because the owner immediately called us, we started pumping out the water in about one hour. The truck mounted water pump quickly extracted the water, leaving dampness behind. We then rolled up and removed the carpeting. We placed several dehumidifiers and air movers to capture the moisture and dry out the home. 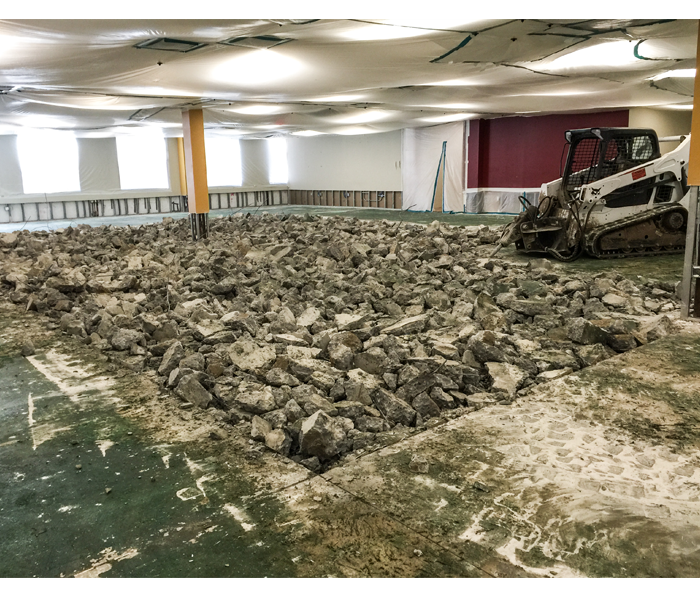 The concrete floor base required checking periodically to verify that it was dry because of the slow evaporation rate of concrete. Located in the Citrus Heights area, a small storage facility experienced an accident which allowed water to saturate the walls lining a few storage units. Nature moved swiftly, enveloping several walls with black mold. 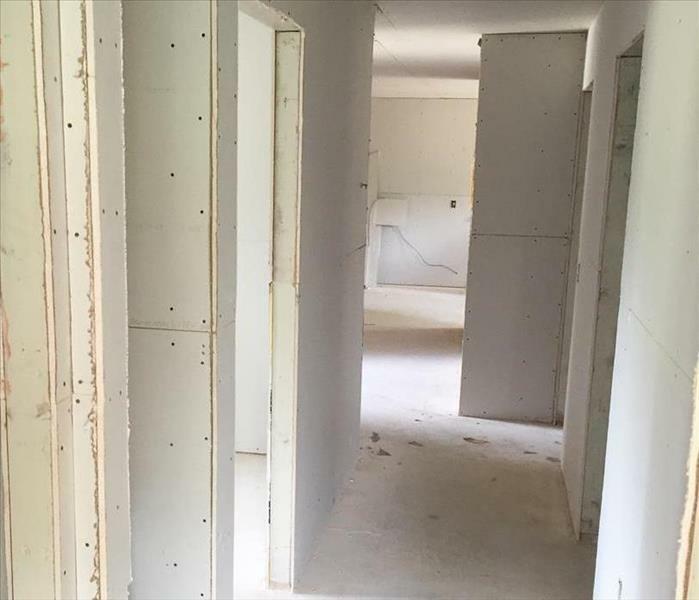 SERVPRO ® of Carmichael safely removed the mold, replacing all affected drywall after extensive anti-fungal treatment. Mold damage doesn't always look like a significant remediation service is required. 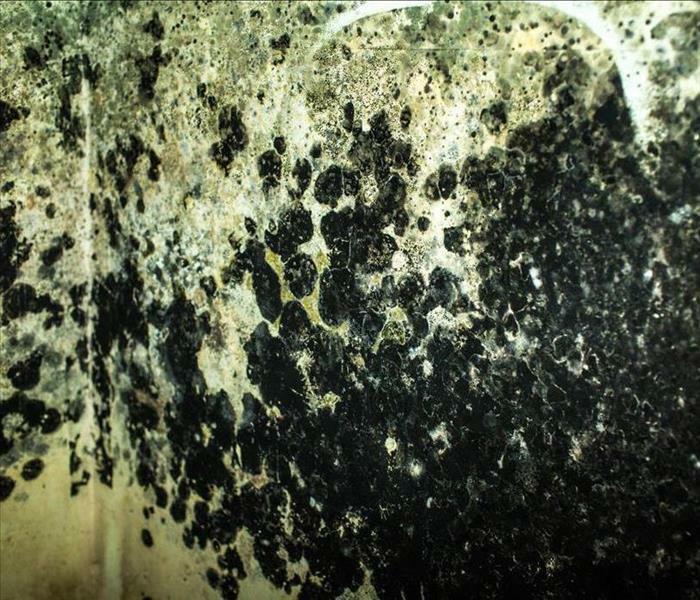 The danger of a DIY treatment is threefold: can the homeowner safely and successfully remove the visible mold growth, has the moisture source been eliminated, and is there any hidden mold growth that can continue to expand? A SERVPRO of Carmichael AMRT, Applied Microbial Remediation Technician, can remove the guesswork and ensure a safe home environment. Call us at (916) 967-2500 for assistance. SERVPRO ® of Carmichael is here to help. We are a turn-key solution for your commercial or residential fire or water damage needs. Start to finish point of contact, accommodating staff and fast turn around time separates SERVPRO ® of Carmichael from the rest. A ruptured pipe caused water to rise enough to flow into this commercial office space, leaving more than an inch of standing water. Because the property managers called us immediately, we started pumping out the water . The truck mounted water pump quickly extracted the water, leaving dampness behind. We then rolled up and removed the carpeting. We placed several industrial dehumidifiers and air movers to capture the moisture and dry out the office as part of the mitigation process. Mold damage doesn't always look like a remediation service is required. 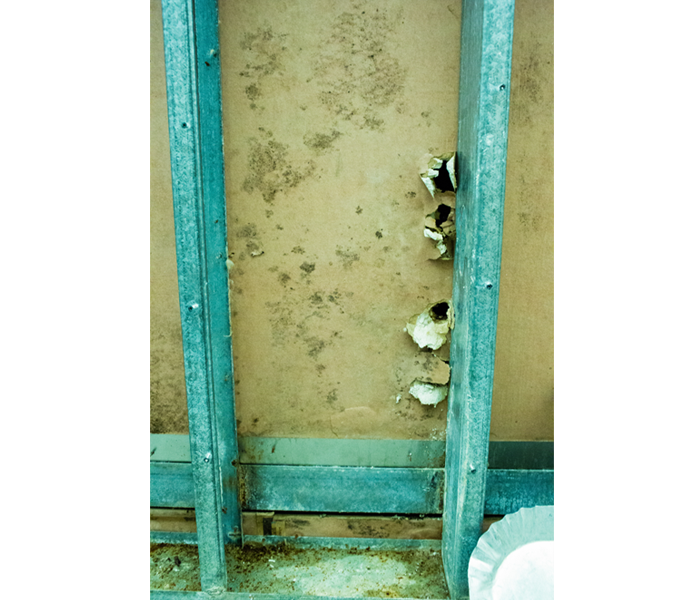 The safety risks in a DIY treatment is threefold: can the business owner safely and successfully remove the visible mold growth? has the moisture source been eliminated? and is there any hidden mold growth that can continue to expand? SERVPRO of Carmichael utilizes applied Microbial Remediation Techniques, which remove the guesswork and ensure a safe business environment. Fire and smoke swept through what was once a lovely multi-family property. Three of four units were damaged significantly, requiring our crews to tear the structure down to the studs. This photo illustrates a step in the restoration process. Winter storms and temperatures below freezing can be rough on a home or business without taking the proper precautions. If you have plans to travel during the holidays, take the extra precaution in assessing whether your water heater could be turned off during your absence. This photo comes from a property in which a pipe froze while the owner was on vacation. Fire and smoke swept through this Sacramento home. 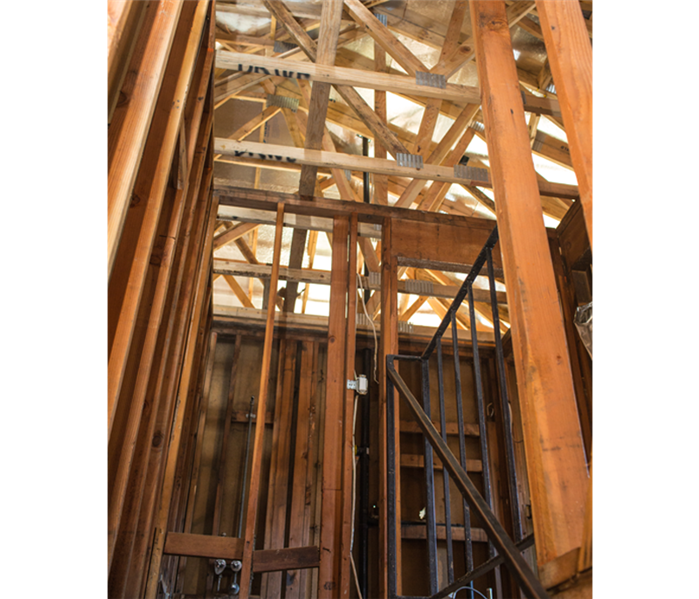 Much of the structures interior were significantly damaged , requiring our crews to tear the structure down to the studs. This photo illustrates the part of the restoration process. 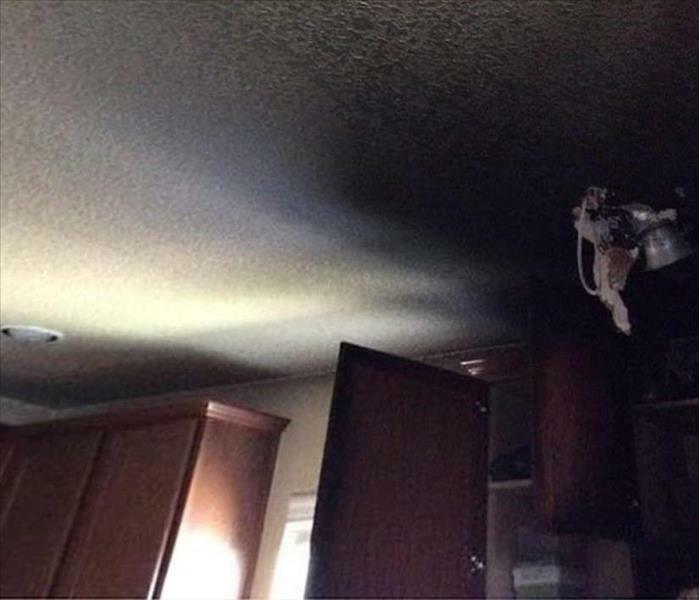 This grease fire in a kitchen in Barrett Hills coated the ceiling, walls, and cabinets with a pungent, sooty residue. Our SERVPRO technicians carefully wiped down the affected areas to limit staining and smearing. The ceiling did need a primer coat to complete the job. Commercial water damage resulted when high gusty winds associated with a band of strong thunderstorms ripped a portion of the corrugated roof of this commercial building. Rainwater accumulated on the drywall ceiling and collapsed it into the interior. The storm left pooling water in this one section of a home because of an entry door that blew open. The water wicked up the wall on the right side, and we cut out the soaked material and began the drying process with our green, industrial grade equipment. 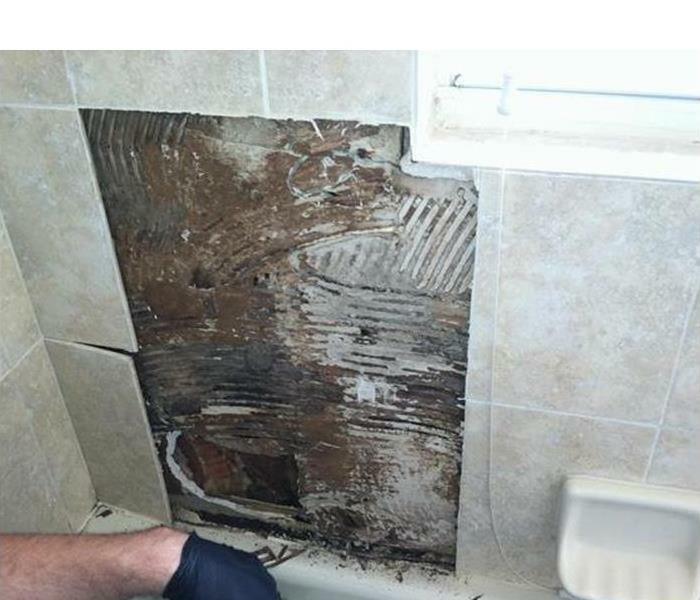 This bathroom in Del Campo Estates had a water leak behind the tiles in the bathtub that led to a growth of mold, even as the wall was weakening. Our SERVPRO technician removed the already loosened tiles and patched the green board after cleaning and spraying an antifungal product into the cavity. Good ventilation helps to prevent mold growth. Smoking in bed resulted in significant smoke damage to this rental property. Fortunately no on was injured and we entered upon approval of the fire marshal. We tossed the carpeting, wiped down the walls and ceilings with dry sponges and then used a wet application. Our SERVPRO techs fogged the attic area and the rooms to inhibit fungal and pathogenic potential growth, and then to deodorize and eliminate the smoky odors. The water intrusion occurred from a leaking line that covered a large portion of the floor. The homeowner did not store belongs here so there was no material water damage. 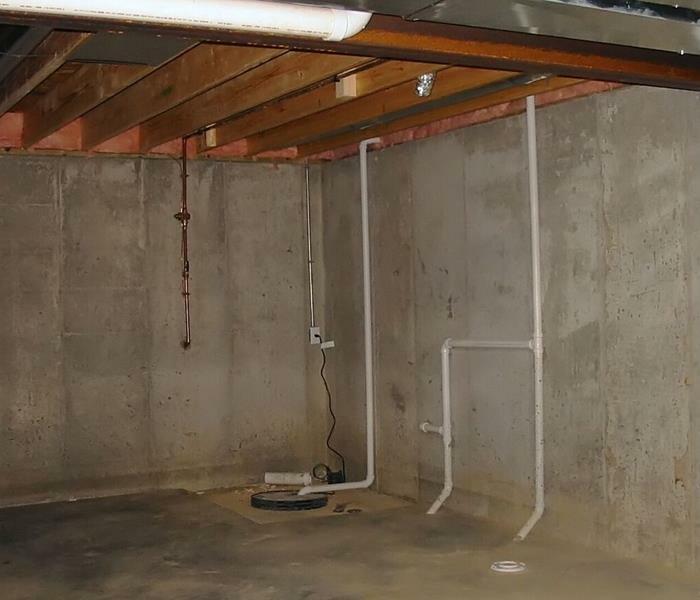 The problem was drying out the space because the installed sump pump drain clogged allowing for the leaking water to pool. By using heavy duty humidifiers we dropped the moisture level to normal numbers, thus mitigating potential future mold or odor problems.